How serious are the faults with the Mahindra XUV500? 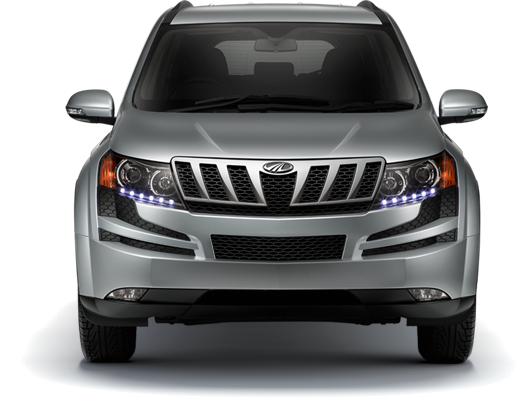 The Mahindra XUV500 is selling and continues to sell over 4000 units a month. Yet there are a large number of buyers who have reported problems with the vehicle, some serious, but most being electrical glitches. Ok, so the vehicle was not perfect when launched. It has been advised in the past that buyers who want a glitch-free vehicle are well advised to wait for at least a year after launch for Mahindra to sort out all quality issues with its vehicles. The same was true even for the Mahindra Scorpio which was launched in 2002 – within a year Mahindra made changes to the engine and wiring to make it better, and it wasn’t till about 2004 that it became virtually glitch free. In 2005, Mahindra introduced the CRDe Scorpio, which again went through constant minor “retrofitments” well into 2006, when the W model (tall tail-lamps) model was launched. Clutch retrofits, wiring harness retrofits and other minor suspension components were retrofitted and the vehicle was glitch free nearly a year after launch again. So have the quality issues that were initially reported with the XUV500 been sorted out? Well, almost. Taking feedback from XUV500 owners who bought vehicles in the past couple of months, the major concern about clutch issues seems to have been sorted out, with only one new complaint about the clutch having emerged, again a failure of the slave cylinder. Another bugbear that continues, appears to be glitches related to the infotainment system. Many owners report inability to pair their iPods to the infotainment system easily. The system works sometimes, and doesn’t otherwise, getting owners to have to re-pair them each time they start the vehicle. Others report glitches with the Navigation system – a problem that seems to have cropped up after a firmware upgrade of the infotainment system. Other issues such as cruise control, clutch issues and central locking problems seem to have been sorted out, with no fresh reports emerging of problems here. However, design flaws such as the driver’s left foot touching the steering column when the clutch is fully pressed continue – as that would involve major design changes. Is this the right time to buy and XUV500? Well, if you are choosing the W6 or W8 two-wheel drive model, you should get a pretty sorted out vehicle. To increase customer confidence Mahindra is now offering a three-year unlimited mileage warranty with the XUV500 – and that’s a good thing. It would be good to buy the extended warranty (Rs. 12,000) being offered with it as well, if you want total peace of mind. But if you want the all-wheel drive variant of the XUV500 – you would be best advised to wait for another six months at least, as there are some transmission issues (overheating and vibration issues of the 4×4 transmission) that need to be sorted out. The fact remains, that despite these glitches, the Mahindra XUV500 is one of the most value-for-money SUVs around when you look at features vs price. Also read: Mahindra XUV500: Annihilating the premium sedan segment! If you are an XUV500 owner share any fresh experiences you’ve had with your vehicle with the Cartoq community.